I have been busy finishing up a couple of commissions for this week and also working on my ADO Challenge piece, which I hope to have completed tomorrow or Thursday. I'll post pics as soon as she is done. I'm also working on my swap piece for the Monsters Under the Bed swap (that has to be done first week in Nov). Yikes! Time flies! 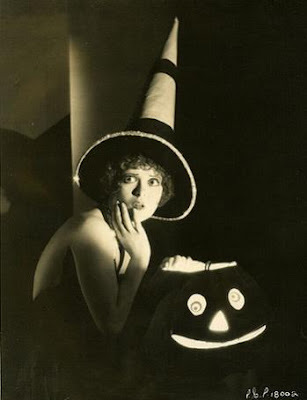 For many, Hallowe'en is a much beloved time of year that has its roots going back thousands of years. The video below offers a short and concise history of this holiday. 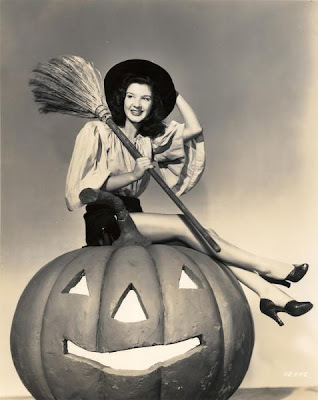 Witches, pumpkins, black cats, ghosts, ghouls......quite an assortment of beings/items commemorate all Hallows Eve! These old gals look so authentic! Love this pic! The pictures are so funny. 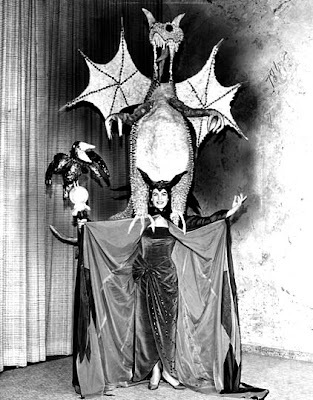 I love the history of Halloween. I find it to be very interesting. 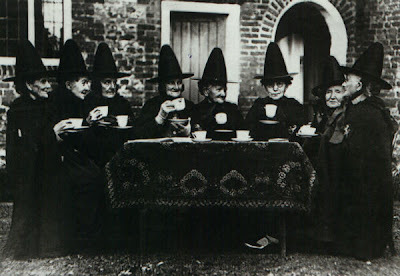 The pics are vonderful, I especially like the pic of all those witches. Love all the photos!!! Spooky lamb!!! Thanks for sharing! Can't wait to see the finished piece! Love all the pics. 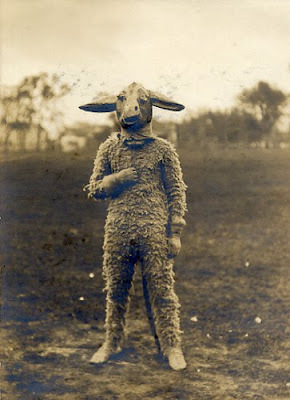 I agree with everyone else...the lamb costume IS scarey...lol. Can't wait to see your finished pieces!! Yes that lamb is totally scary! I'm really looking forward to seeing your new dolls! Hi Sue! Ive been so busy lately. I have neglected my blog friends. :-( so stopping in to say hello! 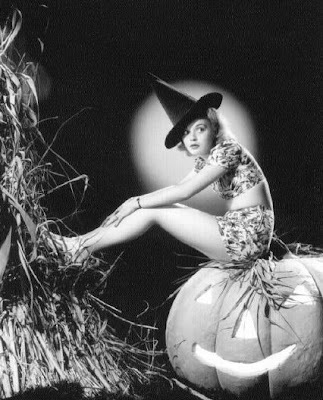 love the Halloween photos and those witch gals are great! Can't wait to see your new pieces! Hugz! have a great spooky day tomorrow!